A new year is upon us, and with a new year comes the opportunity to look at your life with a new perspective. It’s your chance to think deeply about who you are and what you value. Then, to strategically plan how to invest your talents, resources, time, and passions in what matters most to you. In other words, a new year is your opportunity to determine what goals to pursue and how you will pursue them! Do you have a plan for how to achieve your goals in the new year? 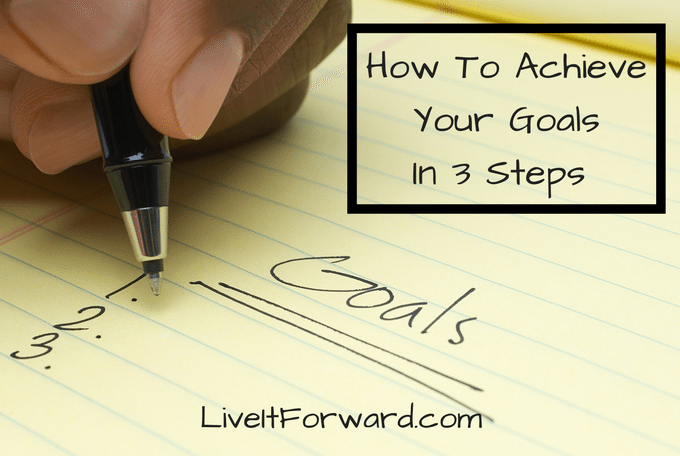 If not, consider taking these three simple steps as a starting point for how to reach your goals. Write out, as clearly as possible, what you want your life to look like 3, 5, and 10 years from now. Now, this is important: READ this vision at least once a week, if not more. Why? Because a major key to success is to lead your life from quiet! Once you’ve written out your vision, develop a simple plan for how to achieve your goals. It doesn’t have to be perfectly spelled out or an all-inclusive plan. Just answer this one question: From where I’m standing right now, what are the next 2 or 3 steps I can take to make my vision a reality? Answering this one question is central to developing a plan of action for how to achieve your goals. Finally, do at least one thing every day to bring your vision into reality. In other words, don’t just set goals, don one thing every to GET YOUR GOALS! You will move from DREAM to DO…this training is all about performance and productivity. You will discover how to create time and space to accomplish what matters most to you. You will learn a performance and productivity system that actually works in real life! How To Achieve Your Goals – Push Through!